The Canadian province of Alberta is planning further road and bridge upgrades to expand the network of routes that can carry oversized and overweight loads. A new government study identifies the improvements needed to Alberta’s existing High Load Corridor over the next two decades to give industry a more efficient way to move large loads, like construction and oil rig equipment. The study recommends about US$1.2 billion of investment in the corridor over two decades. Proposed improvements include bridge strengthening, pavement widening, staging and rest areas and other work that would improve Alberta’s overall transport network. The High Load Corridor is a series of designated routes that can accommodate loads of up to 12.8m in height. 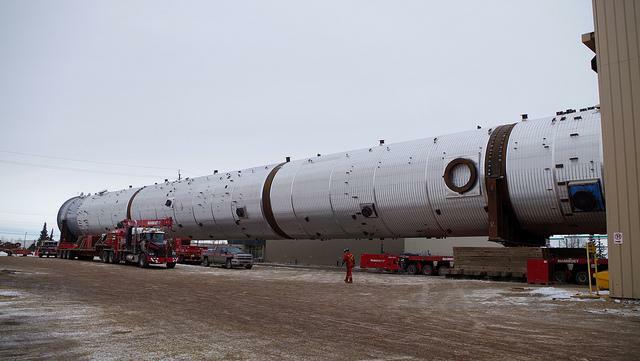 Enhancements to the corridor will mean improved infrastructure for loads such as an 820t, 86m-long piece of petrochemical equipment that is being moved this week from Edmonton to the province’s industrial heartland. It is the heaviest load ever to travel on Alberta's highways. The proposed enhancements could expand the corridor from the current 6,500km to nearly 10,000km. The new strategy follows other announcements of improvements along the corridor, including last year’s allocation of US$67 million in funding for an upgrade to the Vinca Bridge in the province’s industrial heartland. The new structure will be able to accommodate loads of more than 200 tonnes.